Dr. Cotler holds a PhD in Clinical Psychology from the Derner Institute for Psychological Studies in New York. 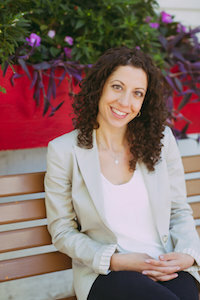 She brings over a decade of experience working with infants, children, adolescents, adults, and families. In particular, Dr. Cotler has extensive experience in parent-infant psychotherapy through post-doctoral training and certification from the PIP Program at Columbia University (NY) as well as training in Wait, Watch and Wonder (Toronto). Dr. Cotler’s doctoral research and thesis focused on the primary attachment relationship formed between a child and parent, and the importance of this relationship in emotion regulation, and how one connects, feels and thinks about themselves and others. Dr. Cotler has published a number of works on the motive to connect to others and its implications in the real world. Prior to her work at the Willow Centre, Dr. Cotler worked at various levels of the mental health system in emergency room, inpatient and outpatient community hospital settings as well as in school headstart and community based not for profit programs. She also worked for a number of years at the Center for Motivation and Change in NYC, specializing in the treatment of individuals struggling with addiction. In addition to working at the Willow Centre, Dr. Cotler also works in private practice and is involved in a number of consulting and coaching projects in the areas of attachment, as well as addiction disorders, and clinical practice. Extending beyond her clinical interests, Dr. Cotler teaches and practices mindfulness as well as enjoys yoga, running and hiking, traveling, and listening to music.